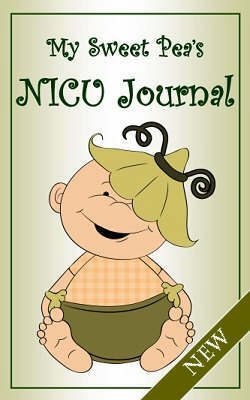 Our NICU Journal is available to download free of charge for families experiencing life in the NICU and to individuals and organizations that support NICU families. Please note that this journal may not be altered including all Project Sweet Peas logos and organizational information. Purchase a hard copy to be mailed to you for just $7 or buy a hospital pack of 10 for $30 (shipping included). Project Sweet Peas has created a comprehensive guide for families experiencing a NICU stay. Download the copy for free here or purchase a single hard copy for $2 or a hospital pack of 10 for $10 (shipping included).